I used a pool noodle for my wreath form - if they aren't available (I stock up after summer for craft projects :), a foam one from a craft store works great! If you're using a pool noodle, use duct tape to keep the ends together ... clear tape hasn't held up as good in my experience. 2. Secure end of yarn on form with hot glue. 3. Trace heart template onto felt. I don't have a template since all forms are different sizes - just use whatever size heart will fit best :) Cut out hearts. 4. 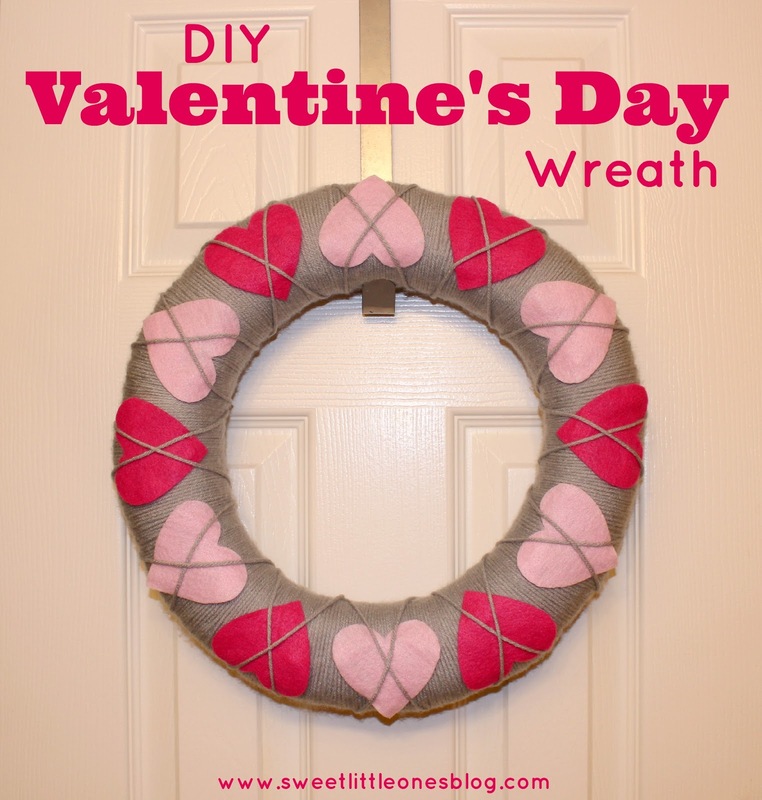 Hot glue the hearts onto wreath, alternating colors as you go. 5. Take yarn and start criss-crossing in front of hearts. This is time consuming too if you are a perfectionist like me :) Hot glue on back of wreath to keep in place. Love that wreath! Too cute! 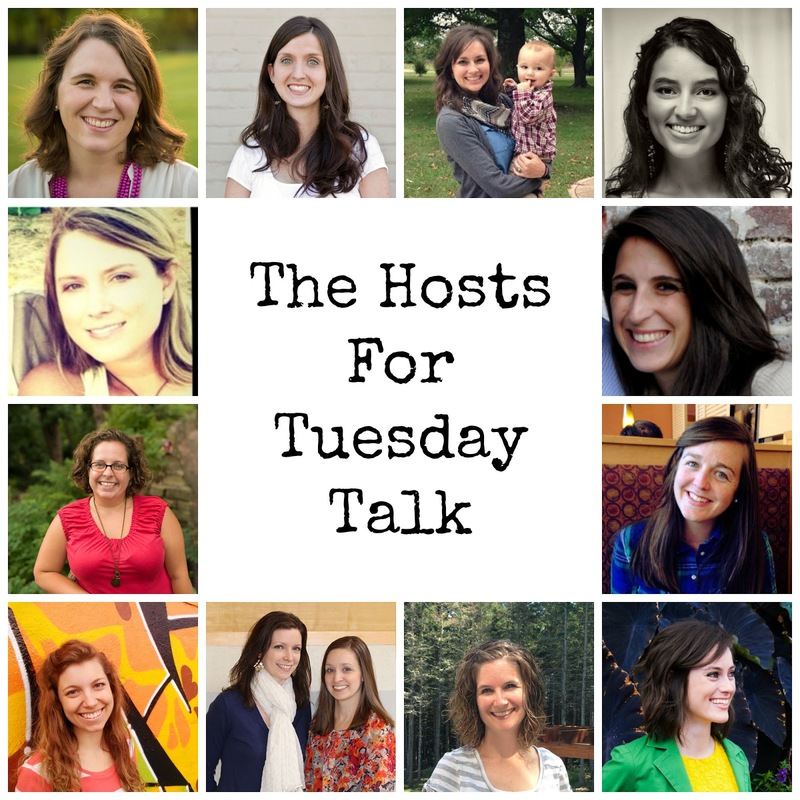 I'm excited to join the link up today! I love this wreath! I bought the stuff to make it at the craft store last week, I need to make it this week and hang it up! So cute!! I've made this wreath as well! Pool noodle - genius! Thanks for sharing! I've made this wreath twice and I love it....so simple but so cute! Thanks for the St. Patrick's day idea! Drink a glass of wine while doing the yarn ;)...it takes forever, but the finished product is worth it! The pool noodle is great - can hang with a Command hook since it isn't very heavy! I have this wreath and made it 3 years ago to! I am actually sharing a picture of mine tomorrow in a Valentines post so I mentioned you, your tutorial and added a link to your site for directions. I hope that is okay! This wreath turned out beautifully!! 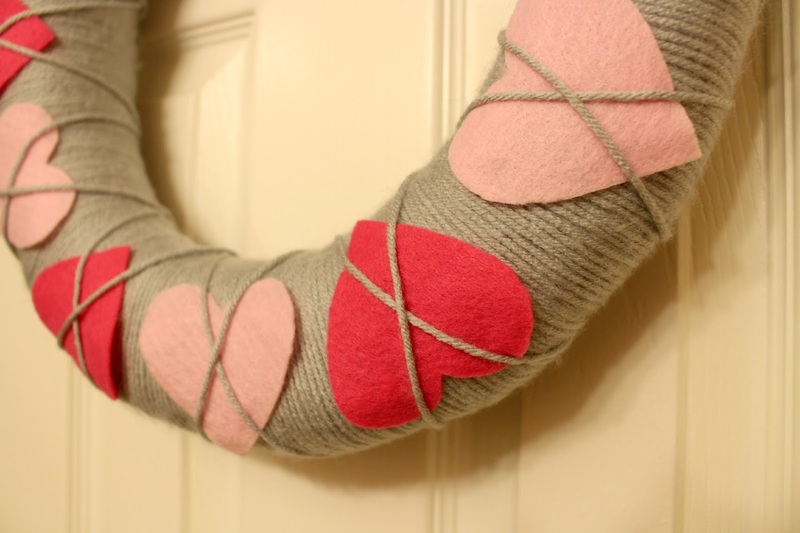 Such a cute wreath! Thanks for linking up!